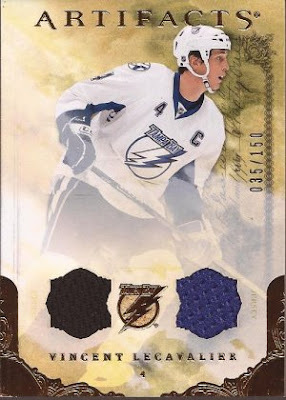 Yeah - it's not a Blackhawk, but for $3, I couldn't pass up a nice dual swatch numbered to /150. Maybe someone reading this will make this an even better card??? If not, I will still love it. First of two vintage I grabbed. I got this for $5, and maybe I overpaid a bit. 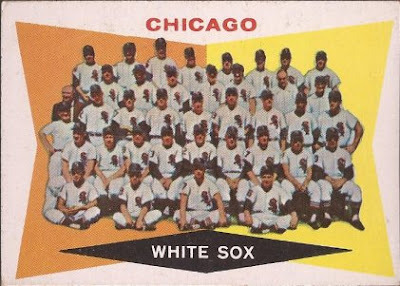 The card is perfect, and the back is unmarked. 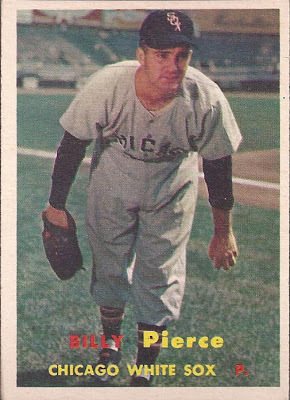 Plus, how can you not like a card with that team on the front, and names on the back like W. Mays, C. Stengel, H. Bauer, D. Groat, H. Killebrew, S. Musial, and others. And the other vintage? And thus, the title of the post is revealed. For six singles, I landed a card that is amazing in it's look. I could swear this was pulled from a pack opened yesterday. This '57 Topps leaves me just 12 short of completing my Pierce collection. nice 57! and what dp cards did you find?